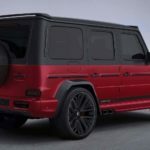 First previewed in the couple of pictures ahead the 2018 Geneva Motor Show, and then admired at the tuner`s stand, the 2018 Mercedes-AMG G63 by Lumma Design is an impressive tuning program highlighted by an exquisite design with an eye-catching treatment and one-off customizations inside the cabin. As you probably know all-ready, the German specialists from Lumma Design specialized in vehicles customizations from Mercedes-Benz, BMW, Jaguar, Range Rover, Porsche and so on, being among the fewest tuners to also offer aftermarket solutions for the new Velar. And the most outstanding aero package is the CLR GT wide body kit. 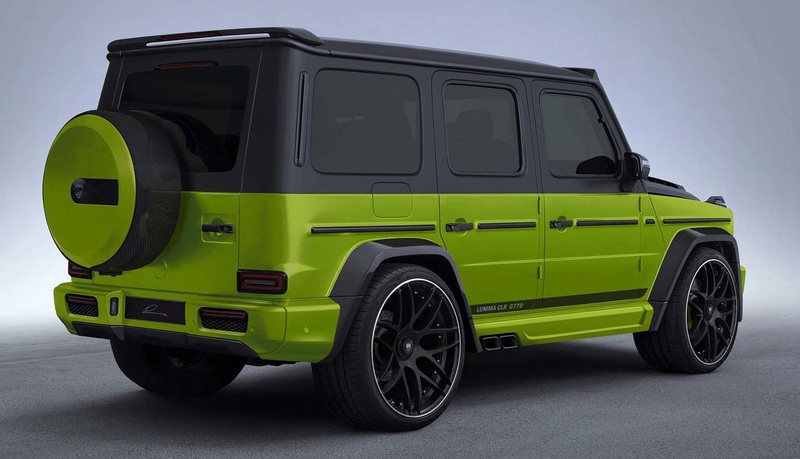 The same CLR treatment is also applied on the below 2018 Mercedes-AMG G63, and involves the “CLR G770” program, consisting of plenty of aftermarket aero parts. As we can see in the photo gallery below, it can be had with a choice of two exotic colours – Ming Green and Metallic Red – with the interior sporting the same colours. The customizations hit the nail right on the head with the new wheels which add a more aggressive feel. We are dealing here with 23- and 24-inch CLR Racing 2 alloy wheels with different custom finishes. 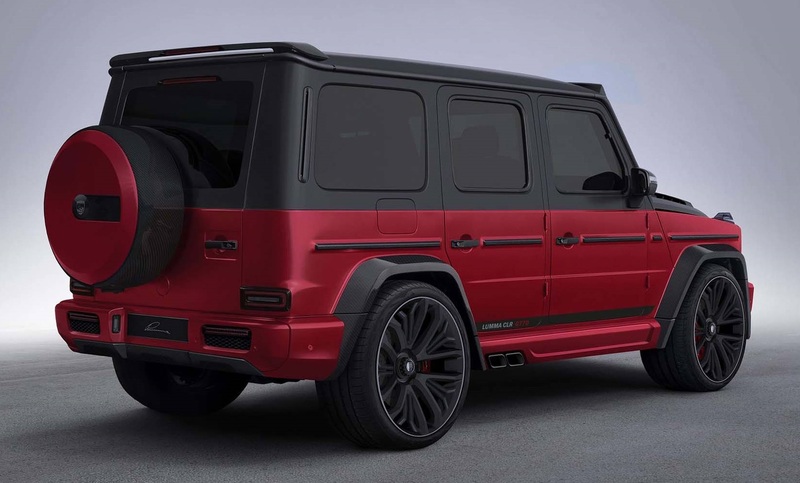 In terms of styling upgrades, the 2018 Mercedes-AMG G63 by Lumma Design features bespoke bumpers with spoiler lip up front, blacked-out headlights and front grille, new bonnet, fender extensions, chunky side skirts, new spoilers and mirror caps, all made from carbon fiber. At the back, the model in question also features a sport exhaust system which normally indicates a power boost. Not knowing the official power, we tend to believe what sources close to the company mentioned – around 770 horsepower, which is way too impressive than the car`s stock power. Inside, the cabin welcomes you with the same finishes as the exterior, along with aluminum pedal set with non-slip rubbers inserts and branded carpets, leather upholstery and a few more. 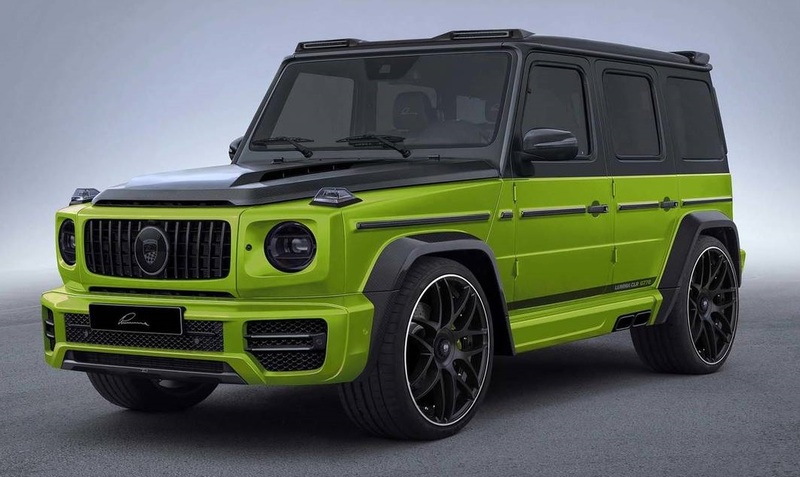 Stay tuned and don’t forget to tell us what you think about the tuner`s new program on the AMG G63 CLR G770!